Lure coursing is one of Brisbane's most favorite things in the world, something I discovered nearly ten years ago at a medieval reenactment event. For several years, this was the only place where Brisbane got to chase the bunny. 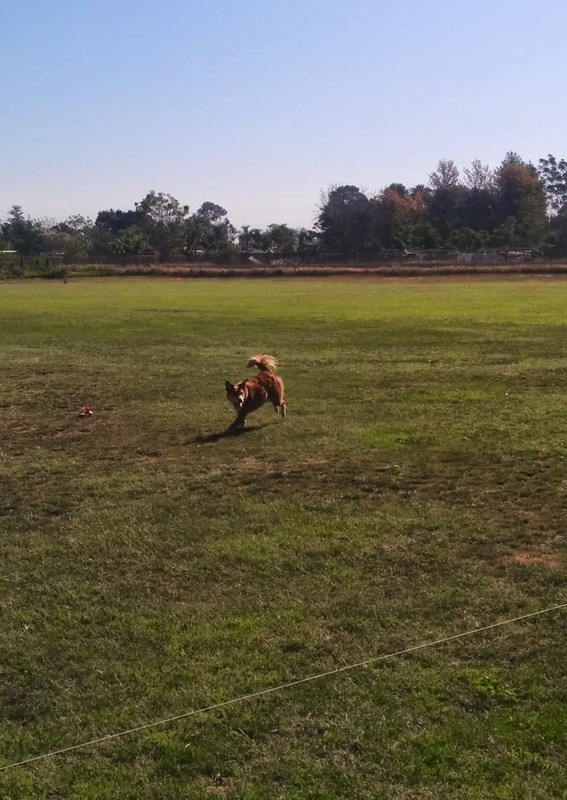 There were a few sighthound clubs doing lure coursing in California, but at the time it was very much a Just for Sighthounds sport. I had hoped to have the opportunity to run my dog for fun maybe at the end of one of their practices, but none of the sighthound people ever replied to my emails or returned my phone calls. In 2010 the AKC started their Canine Partners program to allow mixed breeds to compete and title in a small number of performance events. In 2011 they added the Coursing Ability Test for all breeds including mixed breeds. It took me four years to get around to participating, but yesterday Brisbane and I went to our first AKC lure coursing trial! He got to do two runs and qualified in both. When he qualifies in a third run at our next trial he will have his first AKC lure coursing title. 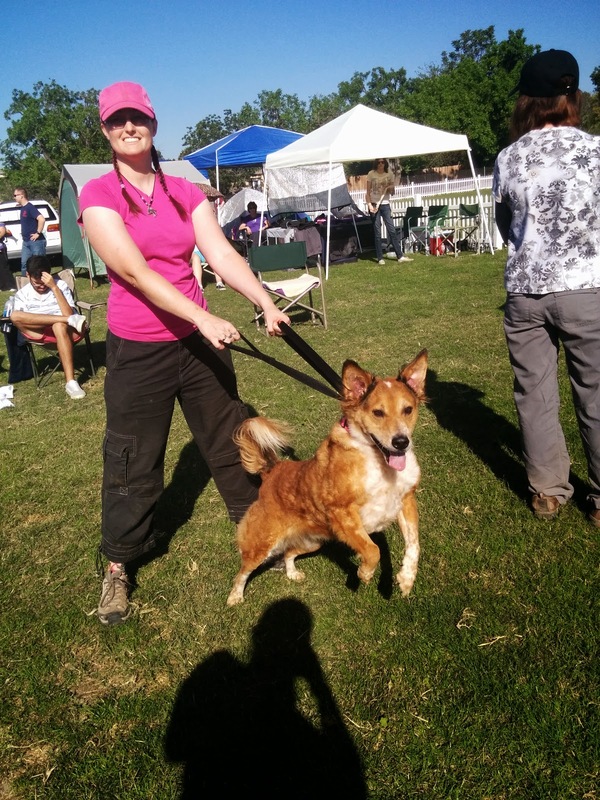 We now have two shiny orange "Qualifying Course" ribbons from the Southern California Ibizian Hound Club. (There were no Ibizian Hounds at the trial, but we did get to hang out with a gorgeous Pharoah Hound!" Brisbane did really well, mostly because I crated him in the car far away from the action. I set my trademark lime green sun shade up over the hatchback of my car and that kept us pretty cool despite the 88-degree weather. His Hurtta cooling coat also helped a whole lot, and I was pleased to find him napping and resting comfortably whenever I checked on him. Using his Road Refresher bowl in the crate kept him from sticking his feet in the water and soaking his delicate paw pads. Of course he launched into hysterical screambarking as soon as we got near the field. There's no silencing him. For all the calming down that he's done in the last few years, he's still absolutely roiling with energy when he gets excited.